Sunday Readings: Acts 2:42-47; 1 Pt 1:3-9; Jn 20:19-31. I love the readings from the Sunday of March 30th. It touches on values that I hold most dear and in the gospel it states that Christ can penetrate any fear with love. Growing up in a family of seven children we shared everything from the television to arguing about whose night it was to do the dishes, the boys or the girls. Through out most of my life, with the exception of one year, I have shared a common living experience. Much to my surprise at times I found out that I had my own set of idiosyncrasies of which I wasn’t aware. Some of the revelations were less painful than others. I remember Sr. Elena telling me one day that she would be glad to help cut the raison bread that I had made the day before. When I said that I could do it by myself, she told me that I didn’t cut the bread straight which in turn made it harder for others. This revelation was easy to take in. Other revelations were more challenging as they question my intention to be thoughtful of others. Although I do my best to live community well, it has been those harder revelations that continue to call me to look at the values that are most important to me. When the Risen Christ walked through the fear of the disciples to bring His peace we encounter the power of love that gives us the foundation to live in community, whether it is as of large household or family or as a global citizen. I love this gospel as it pulls me out of any current fear, darkness or doubt into the possibility of love overcoming fear, light meeting darkness with peace rather than judgment, and trust reaching out to doubt. we sometimes hang out in our fears, it invites us to walk the road of Emmaus and hear in our prayer another voice that places a deeper longing for the yet unseen. My challenge is to trust that my inner room is as permeable as the one where the disciples were gathered when the Risen Christ moved into their fear with peace! como IndÃ­ginas de la era. ***don’t miss theÂ virtual tour of vow day! 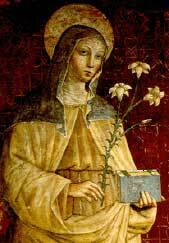 The Poor Clare Sisters in Spokane, Washington are working on a new book. 101 Inspirational Stories of the Power of Prayer. The book will be published in May of 2008 and distributed by Saint Anthony Messenger Press. Stories must be submitted by December 31, 2007 . Read our weekly e-journal reflections from the Sunday scriptures online. Sunday Readings: Wis 11:22-12:2; 2 Thes 1:11-2:2; Lk 19:1-10. I have been short a great deal of my life. I am fifty and I can honestly say that I haven’t been tall since the 5th grade. It was easy to be tall then, easy to be able to see over the heads of those shorter than myself. I think that being tall those early years was like being called first to do cool things. However, my height was short lived. It seems like such a long time ago that physical height was part of my identity. In the gospel reading of November 4th I feel an affinity with Zacchaeus, the short in stature tax collector. He wasn’t tall enough to see from the ground in the midst of the crowd so he sought another way to see Jesus….. 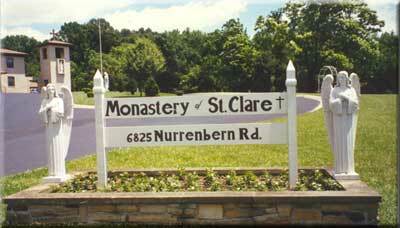 If you’ve been looking for the Poor Clares in Evansville and found nothing….. look again - they are back! Their site was down - mea culpa because I (Sr. Patricia in Spokane) had changed the server … and was negligent in getting everyone back up! Hopefully with the blog - things will get done a little faster. Hope. 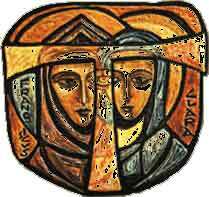 Do visit the Sisters in Evansville and if you want to send them a prayer request….